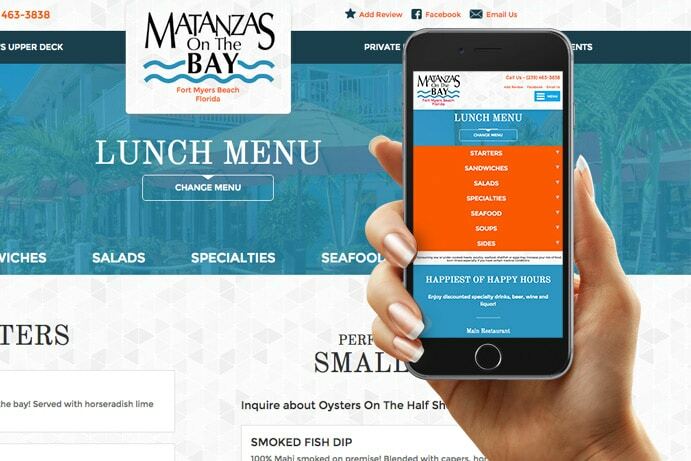 We designed a custom website design for Matanzas on the Bay. 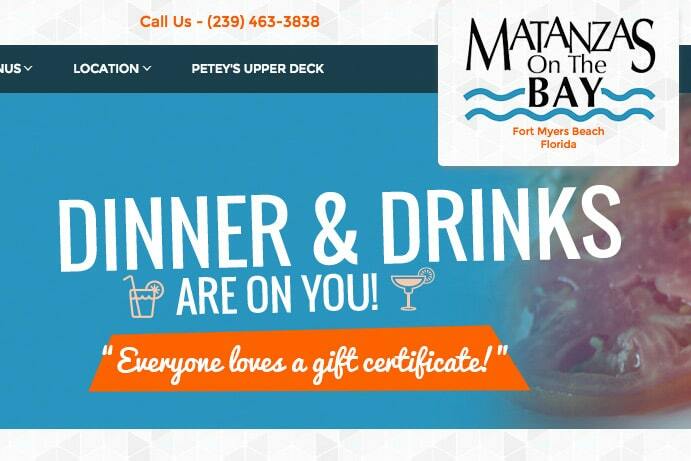 Formerly known as Matanzas Inn Restaurant, Matanzas on the Bay has been a local’s favorite for over 30 years on Fort Myers Beach, and we’ve enjoyed working with them for several years. 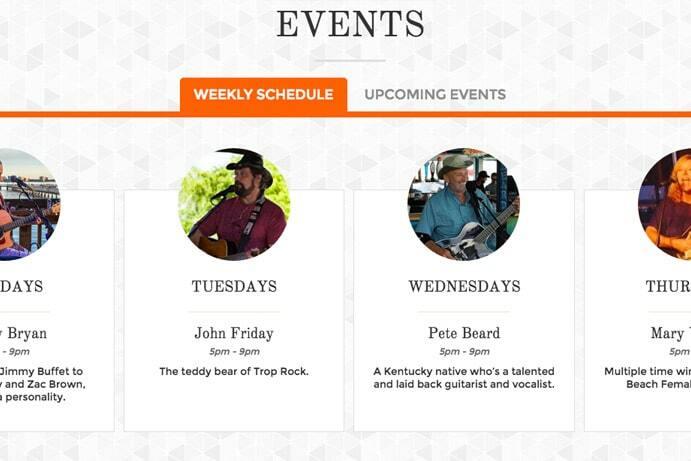 The new MatanzasOnTheBay.com website features a custom WordPress theme designed by the Brian Joseph Studios design team. 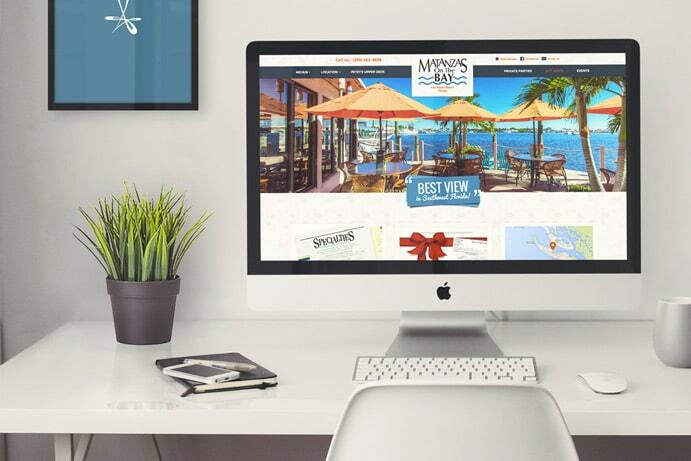 The overall look and feel is bright, colorful and engaging, and with an extremely user-friendly menu section, visitors can read through the menu items easily and quickly on any device and screen size. With an ecommerce integration, customers can purchase gift certificates online, save orders to their account and reorder easily in the future with an online account.